How do setup your day? 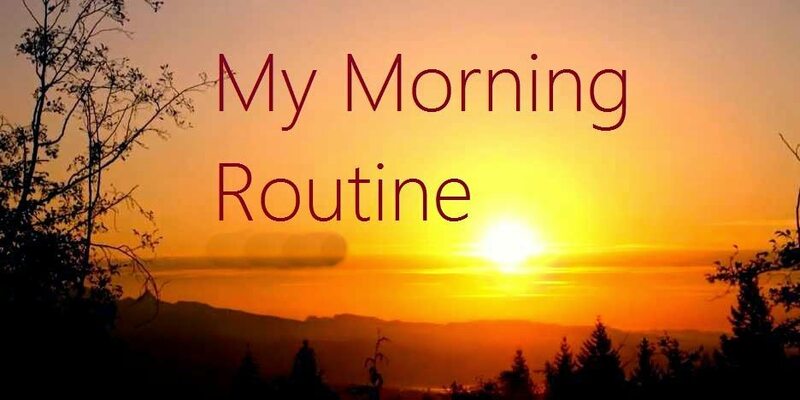 Do you have a millionaire morning routine that sets you up for success? I want to give you five strategies, for a morning routine that will help you explode, help you create massive success, massive action throughout the day, as well as being present, being able to connect with others, and be able to live your day, fully charged. I wake up every day, super charged, full of energy, soon as wake up I make sure I fully hydrated. I’ll drink about a half liter, or so, in the morning, to get my body moving, to get the water to super charge, to super saturate, and start getting my body full of energy, to get my day moving. All right, let’s go into those five steps, right now, so you can start super charging your day. 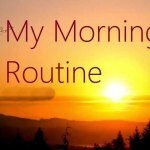 #1. number one, I do when I get up in the morning, is I get focused, I create clarity. That’s what’s going to get me prepped and ready for the day, and how do I do that? First off, I sit down, and I meditate. I’m not a 20 minute meditater, though. I meditate for 2 to 5 minutes, and I feel that, if I can get into such a focused state in that 2 to 5 minutes, that’s going to allow me to open up my day, to have my mind right and connected, to create that energy, to create clarity, and create more focus for myself. One of the things that I use to be able to do that, is I use a technology called Muse. It’s a headband that goes on my head, and it connects to my iPhone, and it allows me to get dialed in, and get focused. If you search online for the release technique, this will allow you to also really get a clear, focused and clarity, through just a quick simple meditation. Two to five minutes is all it takes, and I know you can do that, because I know you are ready to super charge your day, to have energy, be able to live your life full of clarity and focus. #2. number two, we want to super charge our system. How do we super charge our body? How do we super charge it and get it ready for the day? Myself, even my kids, utilize this technique called breath scaling, and what it is, is it’s 20 super fast breaths, just in and out, through the nose, deep into the diaphragm, as fast as you can go, and that’s going to super oxygenate, get that body fully charged, full of energy, and ready for the day. Let me give you a quick example. We’re going to do that 20 times. Now, if you feel dizzy or anything, I want you to sit down, stop, just keep breathing, slow it back down, but with that breath scaling, we start to breathe, and we increase the pace and increase the speed, until we get to 20. #3. number three, We gotta get that blood flowing. We gotta get that blood pumping, and my kids do this same morning routine as I do every single day. Lets get the body moving with burpees, or pushups, air squats, something to get that breathing and blood moving. I really like the burpee, because you get all the way down on the ground, and it allows you to come all the way up, so you’re getting down and you’re coming back up, and it’s going to increase that blood flow, it’s going to increase that energy, and it’s going to get you a whole body movement. Anywhere from 10, 15, 20 reps is a great number to go ahead and get that blood and body moving, so now you position yourself to start having that day of success, energy, clarity, focus and have a super charged day. #4. number four, we have to make sure we get some nutrition in our body. We’ve got to make sure we’re getting the right kind of nutrition, so we’re throwing away, getting rid of all those processed foods, getting rid of all that white bread, and any junk. Lets super charge our body with a super greens alkaline drink. Super greens are going to get in the system, the alkaline is going to make sure your system PH is balanced out for the day. You can utilize that to power up and give you all the nutrients for your day, right there, in your super greens drink. Find some kind of super greens drink out there, and utilize that to super charge your day and get the right kind of nutrients, as well as look to get some kind of protein, some kind of collagen protein as well in the morning. #5. number five, is the right kind of supplementation. You want to make sure your getting your fish oil. You want to make sure you’re getting your Vitamin D, as well as your MCT oil. Those are to help prime your system, reduce any kind of inflammation, you want to get the brain ready to go, as well, I also use a nootropic. That’s for my brain. It’s going to super charge it. It’s going to give my brain the extra edge. It’s going to give my brain the cheat to help push me forward to success and move me forward. I use a product called Brain Boost. Brain Boost is what’s going to help me super charge my mind, and be able to have all that information just flow clearly through my head, and connect all the pieces with clarity and focus, that I’ve super charged for the day. You don’t have to follow all those steps. Take two or three, but people that want massive success and a super charged day take all five. I want you to start implementing something in your life, something in your day, so you can have a super charged morning, as well as have a day full of high energy, high performance, clarity and focus, so you can be present and connect with people throughout your day. I would love to hear from you please comment and share with someone. 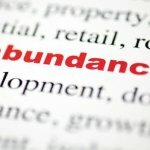 Start to super charge your life and setup your millionaire morning routine. Get out, be extraordinary and have an awesome day. Start your morning with success.| Click Here to get my Free email and video series.